$32 - Created in a soft knit, this tween cardigan is new from PPLA. 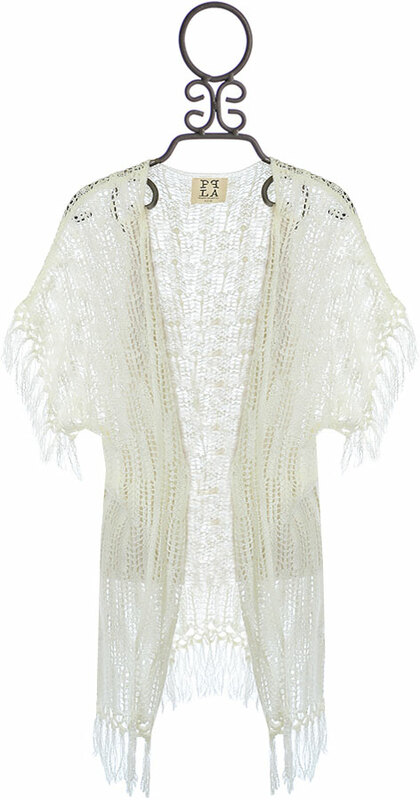 A creamy ivory is the perfect shade that allow this sweater to match with many of her tops and dresses. The loose knit is complemented with long fringe falling from the short sleeves and hemline. 100% Acrylic. Hand Wash Cold. Lay Flat to Dry. For Best Results Dry Clean.